Vevo – Soft for Android 2018 – Free download. 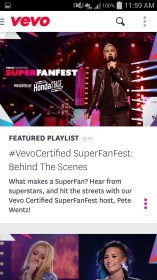 Vevo – The "Hulu" for music videos comes to mobile devices. 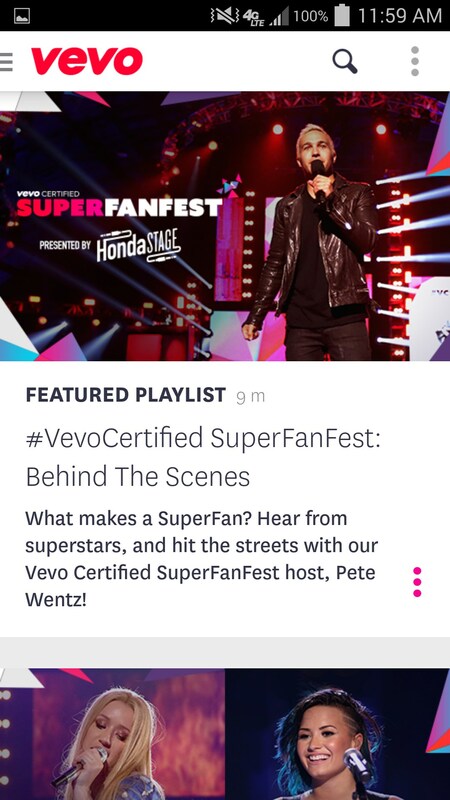 Vevo for Android is the mobile version of Vevo.com. 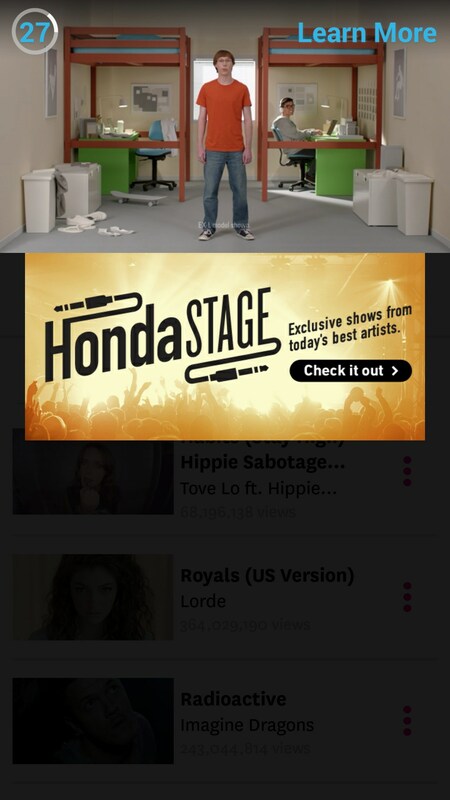 It’s a powerful form of the service that lets you watch music videos on the go. The quality of the videos are really sharp, and the app itself is easy to use and figure out. If you like Vevo, download this app. 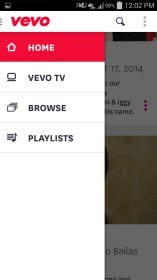 Vevo operates within a common tab system with Home, Vevo Tv, Browse, and Playlists on the left side of the screen. The Home tab is a little bit cluttered, as it feels like the developers tried to make it into a magazine style. It looks cool, but the content all kind of merges together in a vertical list. When you go to Vevo Tv, it immediately starts playing on the Ch1: Hits. From there you can move to different channels by swiping to the right. I think the Browse tab is probably the most useful tab because it lets you get exactly what you want. You can browse the top videos, top artists, shows, and mostly the top "everythings" from staff picks to recently watched. From every tab there is also a search icon at the top that you can use. 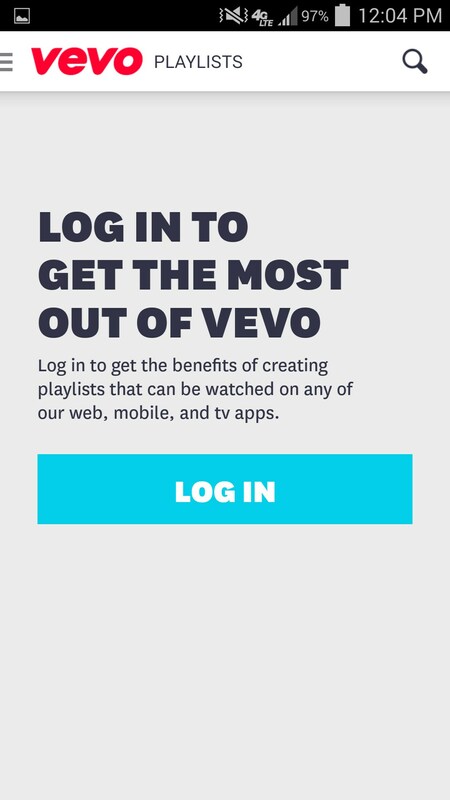 By logging into Vevo, you can create playlists on the website or on your phone that you can watch whenever you have time. 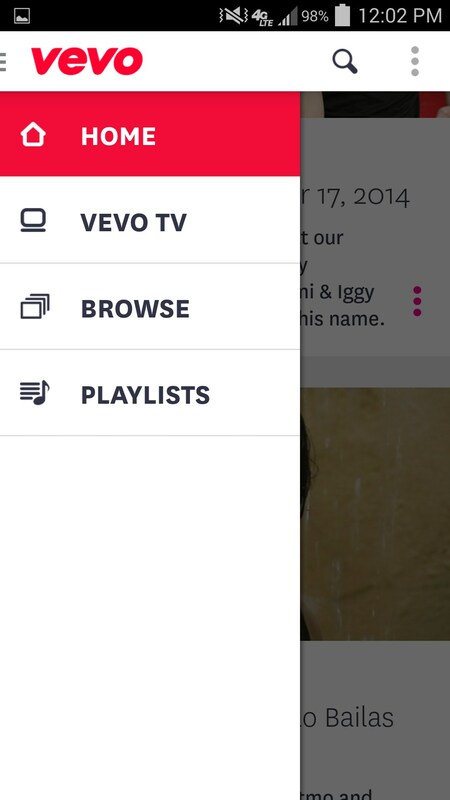 Vevo is a service I never really use. 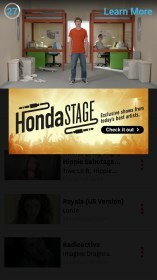 It’s marketed as a “Hulu” for music videos. It has ads plastered all over each video content because that's what the website was initially made for and Google makes a lot of money of these ads. It’s a good service if you like mainstream music and streaming it.